This is a sponsored post written by Amy & Aron's Real Life Reviews. Have you ever been completely blown away by something that you didn't think could be so impressive? I know that's a pretty broad statement but, I have. I watch TV regularly. We watch series, daytime shows, the gameshow channels, movies, the news, you name it, the tv is always on. Even if it's just background noise while I work. The LG OLED has a completely unique set up and I want one! It changes the whole viewing experience, enhances each scene to 4K quality, and its Intelligent Processor maximizes picture quality by producing images with rich colors, sharpness, and depth. The 77" TV offers to view on a large screen completely engaging! I was looking at the options on Best Buy and I am completely amazed. I have an awesome TV at home, I thought but the LG OLED 77 Inch C8 TV is so much more than that. The perfect black image makes the brightest and darkest pictures look so much clearer. We do a lot of gaming this would be the perfect TV to do it on. What's even more awesome about the LG OLED is it's available in the 55inch and the 65inch size too. So for all budgets and space allowance, you can find the one that suits you best. 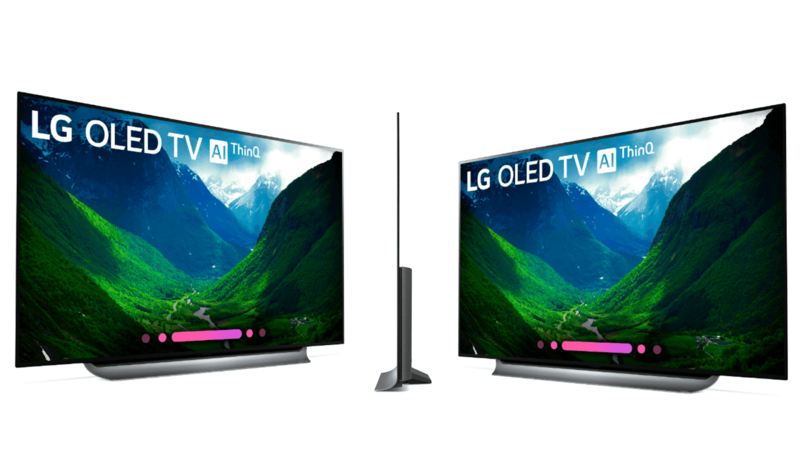 Right now at Best Buy, save up to $500 on select LG OLED 4K TVs. 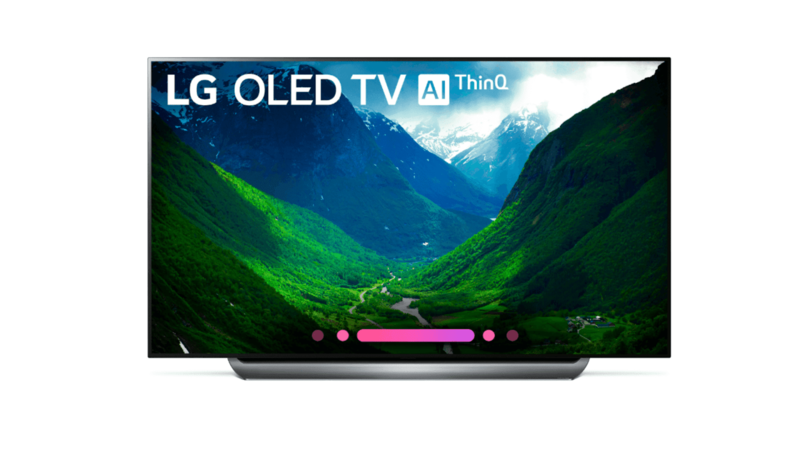 LG OLED TV Meets Artificial Intelligence: LG TVs with AI ThinQ® has the Google Assistant built in so you can control compatible smart home devices using just your voice. Create a center for your smart home and beyond. Plus it works with Amazon Alexa devices. The color is so intense with the OLED TVs. Every one of the 8.3 million individually lit pixels of the LG OLED TV with AI ThinQ. That means that each pixel can turn on or off or dim individually. That gives the tv the most perfect black. That delivers the clearest picture available. There is no color bleed. Check out the video below the product image called the LG OLED TV Featuring Perfect Black, on the sale page to see exactly what I'm talking about. The horse running from one screen to the next will blow you away! It's at the 48-second mark, that's what sold me. This level of imagery is not available with any other tv technology. It's like watching a theater screen. LG’s award-winning most powerful processor, α9 (Alpha9), provides true-to-life images that feel like they are really in the scene. It's so awesome. Something I didn't know until now, All OLED TVs come from LG and all existing OLED TV's come from LG. That's a pretty solid foundation. Premium Content choices: LG OLED TV with AI ThinQ® features comprehensive support of major high dynamic range formats including Dolby Vision™ HDR from the cinema, as well as HDR10 and HLG, both with LG’s advanced tone-mapping technology that provides scene-by-scene optimization. 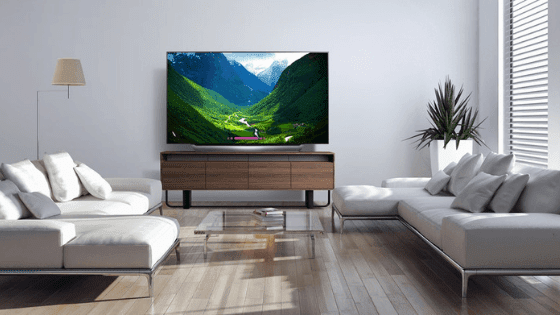 Learn more about LG OLEDs and all of your options on the Best Buy website. DISCLAIMER: Service limited to certain languages. Some features require 3rd party service subscription. Google Home and Amazon Alexa devices sold separately. - User Benefit example: Conveniently control your TV with voice commands to change picture settings (movie mode, game mode, sports mode etc. ), change the volume of tv, search for shows and movies, control compatible connect home devices. Allows for control of TV and connected devices with the power of your voice and without disrupting your movie watching experience. This smart TV also allows you to launch apps like Netflix, Hulu, and more.